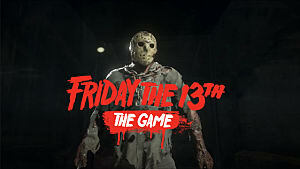 For seven players in any given match, Friday The 13th: The Game is all about staying quiet and trying not to get cracked in half or curb stomped in a fireplace. 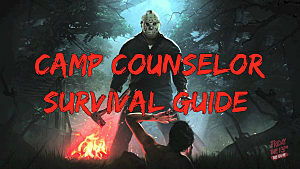 To "win" as a counselor you don't have to kill Jason -- you simply have to escape or survive until the end of the match by running out the clock. 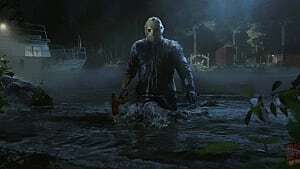 In fact, killing Jason isn't the way the developers intended most matches to end, stating it will only organically happen about once in every hundred rounds or so. For those who want to buck tradition and go for a difficult win though, taking Jason out is possible under very specific circumstances. 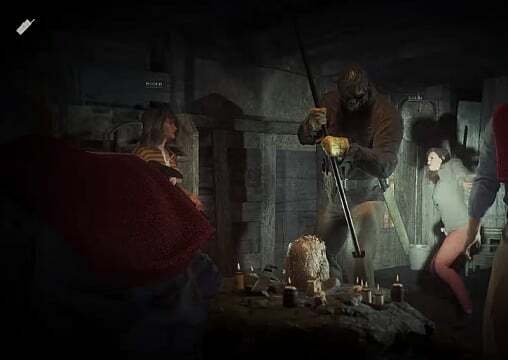 Getting a Jason kill cut-scene takes a lot of team effort in Friday the 13th -- and without a compliant Jason player letting it happen, it will require a whole lot of work and luck. Below we cover the only currently confirmed method for actually getting this kill. After one counselor dies or escapes, find the CB radio (located randomly in any one of the cabins across the map) and call in Tommy Jarvis. 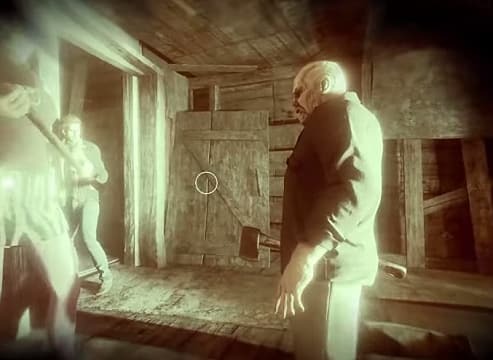 When your dead/escaped player returns, have the Tommy player grab a machete, which is again located randomly across the map in cabins, the stables, or sometimes on picnic benches. Make sure Tommy doesn't die, because he is required for the final kill shot. 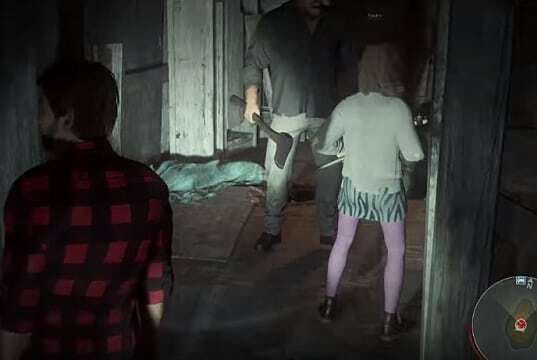 Next, have the female counselor enter the shack where Jason begins the map. 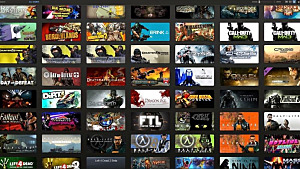 This location is randomized, so you'll have to do some searching. Sometimes it's at a far end of the map, and sometimes it's on the island in the bottom corner. Inside you will see his mother's head and candles on the table. In front of the head is a sweater that only a female character can interact with and pick up. Equip it, and make sure that character doesn't die. Now is the really tough part. 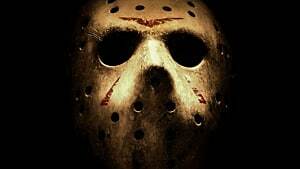 Your whole team will have to work together to remove Jason's mask. This part can be done before or after the female counselor goes to the altar room, as Jason's mask will remain gone after getting knocked off. 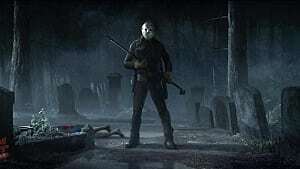 Knocking off the mask requires sustained melee swings in close combat (don't forget to switch to combat stance) by characters with high Strength, wielding weapons that won't break easily -- such as the machete, wrench or axe -- or by a well-aimed shotgun blast from Tommy Jarvis. If Jason enters Rage mode during this process it will mess everything up, so only have characters with high Strength make the attacks. After the mask drops, Tommy Jarvis must pick it up so it's in that player's inventory. 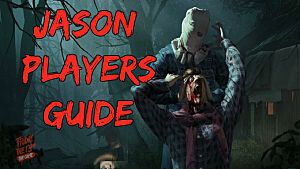 The female counselor wearing the sweater needs to approach Jason at this point and activate it (pressing Q). 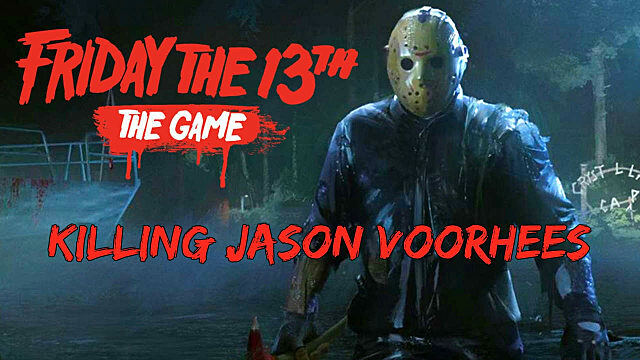 Jason will raise his weapon to swing, but he'll stop in mid-air and become vulnerable. 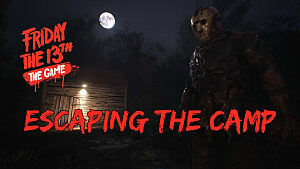 Stun Jason once more with a high Strength attack or shotgun blast, which drops him to his knees and starts an audio segment where Jason can be killed. For this final section of the process, have Tommy Jarvis -- with the mask in his possession -- approach and press E to active a death cut scene. 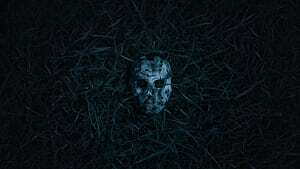 It seems likely there may be separate methods for killing the alternate versions of Jason that unlock at higher levels -- since they "died" in different ways in the movies. But at the time of writing, those methods remain unproven. We'll update this article when someone finally gets a confirmed kill using other lore from the movie franchise!